As a necessary biological function, sleep is something no one can do without. However, many people start to get less and less sleep as they age. Not only does the amount of overall sleep decline, so does the quality of that sleep. 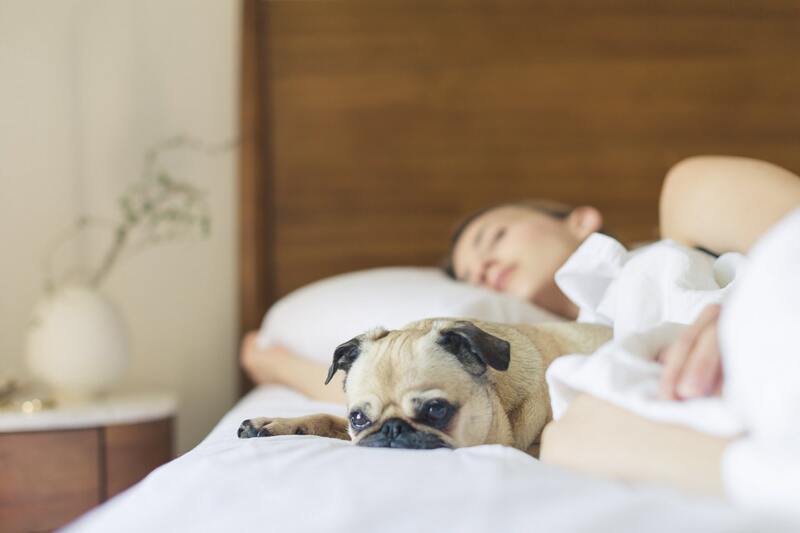 Even with the natural changes of an aging body, you can develop good sleep hygiene to help you not only get more sleep, but better, deeper sleep as well. The average adult needs a full seven to eight hours of sleep. Those needs don’t change with age, but the reality is that getting that many hours in a row can be difficult for many people as they grow older. Many older adults have a hard time falling asleep at night and experience frequent night wakings. That leaves many older adults tired during the day because they haven’t gotten a full night’s rest. The shorter sleep time and frequent wakings lead to older adults not reaching the active dreaming stage of sleep. This last stage, called REM sleep, only takes place after moving through the previous four stages. The brain is almost as active during this stage as it is during the day. It’s an important stage of sleep where the body goes through restorative processes that keep the brain and body working at their best. People who do not regularly reach REM sleep are at higher risk for illnesses like dementia and depression, not to mention feeling tired all day. Changes in the aging body make it more likely to experience sleep problems. For example, deteriorating vision decreases the amount of light the eyes sense. Natural light helps control the body’s circadian rhythms, which regulate the sleep-wake cycle. The changes in the sleep-wake cycle from decreased light further contribute to night waking and insomnia followed by excessive sleepiness during the day. Older adults also report more sleep disorders like restless leg syndrome, sleep apnea, and insomnia. Arthritis, congestive heart failure, and acid reflux are also more common with aging and sleep loss can be a side effect of many of these illnesses and disorders. While you cannot change an aging body, you can develop habits to support good sleep. It starts by creating a bedroom that’s a sanctuary from outside stress. At night, it should be quiet, dark, and cool in the bedroom to allow the body optimal sleeping conditions. If you wake with aches or pains, you may need a mattress and pillow that support your preferred sleeping position. Regular Exercise: Exercise is good for your heart, muscles, and bones but it also helps to wear you out, so you’re more tired at night. More Exposure to Natural Light: You may need more exposure to natural light to keep your circadian rhythms in check. Sit on your front porch or take a walk to get a few extra minutes of sunshine. Short Naps: You don’t want to nap the afternoon away, but a quick 30-minute nap can help counteract the effects of sleep deprivation without throwing off your circadian rhythms. A Consistent Bedtime: The body thrives off of routine. Keeping a regular bedtime allows your body to establish healthy circadian rhythms and trains the brain to release sleep-inducing hormones at the same time every day. Oh these are some great suggestions! I can't sleep more than a few hours at a time - either from my arthritis pain or because I have to go to the bathroom. Ahem. The joys of getting older lol. I'm definitely going to try getting outside and getting more natural light each day to see if that helps. I hope that it does help! I tell you, this getting older thing is for the birds!